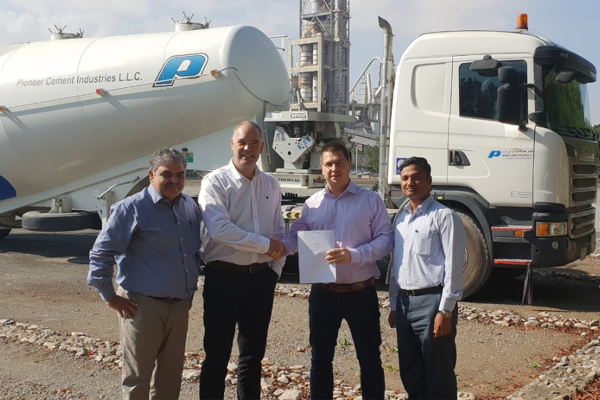 Ras Al Khaimah-based Pioneer Cement Industries has signed an agreement with Emirates RDF that will lead to the use of fuel derived from household waste in its production plant. In a statement, the company, a subsidiary of Oman’s largest cement manufacturer Raysut Cement, said it will be one of the first cement plants in the region to use waste fuel contributing to the vision of sustainable development and environment of the UAE Ministry of Climate Change and Environment. Emirates RDF with its plant in Umm Al Quwain is a $40-million joint venture developed under a public private partnership (PPP) programme co-financed by the Ministry of Presidential Affairs with the Ministry of Climate Change and Environment signing a concession agreement with its shareholders which include the UAE-based contractor Besix, Ajman-based Tech Group and Finland-based Griffin Refineries. “This is a fantastic initiative that shows we are committed towards the environment and we are doing our bit for a clean and greener future. We at Raysut are really proud of this project.” said Joey Ghose, group CEO of Raysut Cement Company.